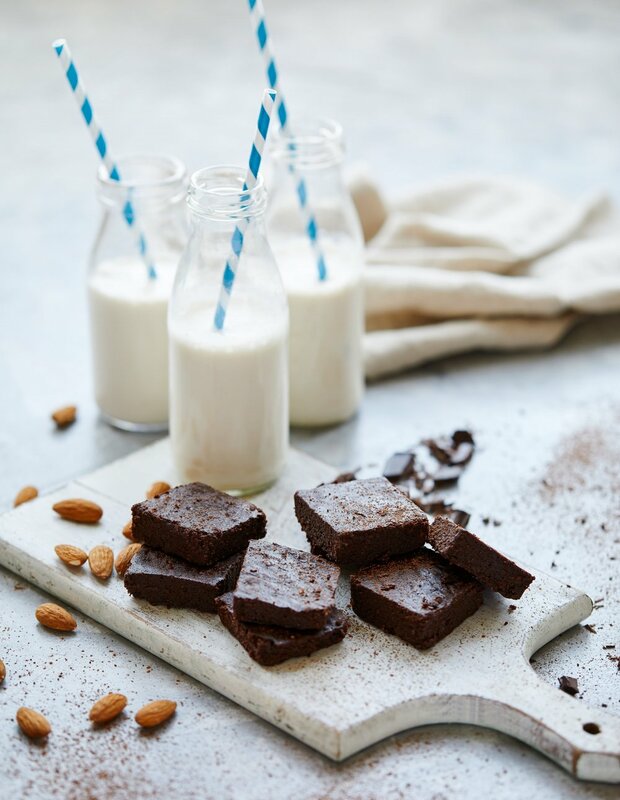 Fudgy Paleo Brownies — The Paleo Foods Co.
Dreamy, fudgy, gluten and wheat free brownies that are deliciously indulgent (and more-ish!) and easy to make! Perfect with a cold glass of our almond milk. 1. Preheat oven to 160 degrees and line an 8x8 inch baking tin with grease proof paper. 2. Add the butter, coconut oil, maple syrup, cocoa powder and salt to a heatproof bowl and melt over a pot of boiling water. Heat until all butter and coconut oil has melted and the mixture is well incorporated. Remove from the heat and allow to cool slightly (about 2 mins). 3. Now add the eggs one at a time (ensure these are at room temperature!). Stir the mixture well after adding each egg ensuring they are evenly mixed. 4. Add almond flour to the mixture, stirring vigorously until fully blended. Pour the mixture into the prepared baking pan. 5. Bake for 15-25 minutes or until the centre has just set (this varies dependingon oven type). The best way to check if it's ready is to insert a tooth pick into the centre; it should come out almost clean and slightly moist. Be careful not to overcook it as it will dry out and lose its lovely fudgy texture!